Joe and Todd are podcast veterans, dating all the way back to 2009 with Three Guys from Nowhere and more recently with The Weekly Longbox, tallying almost 200 episodes between the two shows. 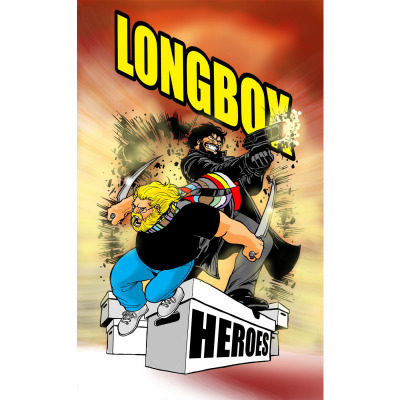 And now their newest project: Longbox Heroes. They\'ll be talking the latest and greatest in the world of comics, weekly reviews, previews, listener interactions and so much more. Lifelong comic book fans, they bring a unique, friendly and proud look at comic books and fandom. They\'re not embarrassed of what they like and you shouldn\'t be either!